Specializing in Custom Glass Railings and Shower Doors. We manufacture all our own railings here in Nanaimo and have designed a unique, one of a kind style post system for our railings. We also offer some of the fastest lead times and most affordable pricing on the Island. Serving all of Vancouver Island and the Gulf Islands. 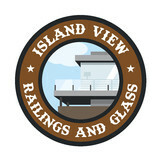 Full service glass shop including, residential, commercial, and auto glass. Shower Doors, Glass Railings, Windows, Windshields, Sunrooms, Patio Covers and more. Abstract Auto & Window Glass is a family owned and operated glass shop serving Mission and the surrounding areas since 1975. We are the preferred auto glass dealer in Mission and Abbotsford, and you can rely on our years of experience to get the job done right. Whether we are working on your home, business or vehicle, you can trust us to provide you with both superior products and professional service. From windshield repairs and replacement to storefront glass maintenance and vinyl windows installations, we will bring you the high quality you expect in a top-rated dealer. We stock a large selection of window and door hardware and can special order items that are not in stock. Originally founded by Dave & Sheryl Mitchell, we operated out of a small space on Railway Avenue and later moved to our current location next to Superstore in 1979. As residents of Mission since 1974 and raising our families here, we have a vested interest in the community and its people. 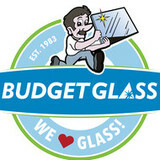 Come see us for all your glass needs. Local Glass Works is an industry leader in professional residential and commercial glass installation repairs and services. With free estimates and 24-hour emergency services – we are proud to service all Greater Vancouver homes and businesses and specialize in the New Westminster, Coquitlam, Port Coquitlam, and Port Moody areas. With years of extensive experience, our highly-dedicated team is committed to excellence in all glass installations, repairs, and maintenance. From vinyl windows and double-glazed replacements to shower enclosures, we offer a full suite of services guaranteed to meet all your needs. Glazing contractor in Vancouver, BC specializing in Frameless glass for residential homes. Peak Glass is founded on customer service, honesty and integrity. We work hard every day to apply these values to every project, whether big or small. Peak Glass is a full service glass shop, with experienced red-seal certified technicians with over 20 years in the glazing industry. We are a local company focused on the highest quality of work with exceptional service and customer satisfaction. A new location in Langley has made it easier to serve Metro Vancouver with residential, commercial, strata, auto repair and custom glass installation projects. We are here for you, so we are happy to answer any questions you have even if it's about work performed by others. Since 1979, Delta Glass & Mirror has been dedicated to providing high quality, competitively priced glass products to residential, commercial, industrial and retail clients in Vancouver and throughout the Lower Mainland. A dedicated manufacturer of electronically switchable glass and smart film. Also known as PDLC switchable privacy glass, switchable glass, intelligent glass and electric glass and smart tint. Top Tier Glass & Shower Doors Ltd.
With over 15 years in residential glazing experience. Specializing in: Custom Glass Shower Doors Bathroom Mirrors If you have any questions, please do not hesitate to contact us at (250) 656-7167 and we will be happy assist you in designing the shower of your dreams! What can a local Richmond glass company help me with? If it’s a major home glass repair or replacement, the Richmond glass company should work directly with your insurance company to help bring down costs for you, if applicable. Find Richmond glass companies on Houzz. Narrow your search in the Professionals section of the website to local glass, mirror and shower door services in Richmond, BC and read reviews and ratings to find one that fits your needs.